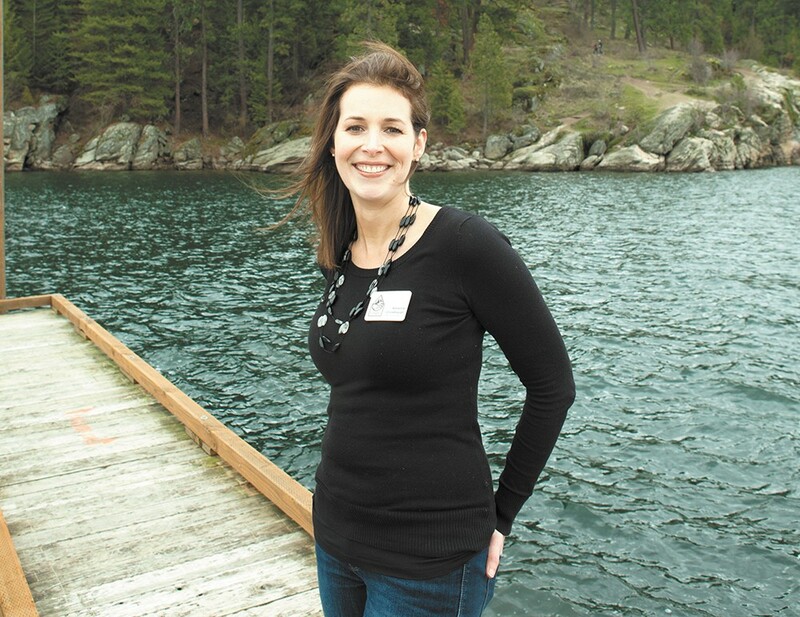 Adrienne Cronebaugh is the executive director of the Kootenai Environmental Alliance. We're not in Kansas anymore, Toto. Though when Adrienne Cronebaugh first laid eyes on the Inland Northwest and Lake Coeur d'Alene, it wasn't her dog at her side, but her husband. And Kansas? Make that Ohio. Cronebaugh, a lifelong "flatlander" in her own words, fell in love with the mountains, rivers, lakes, forests and wide-open spaces of the Northwest when she moved to Coeur d'Alene with her husband in 2010. "It was nice putting my feet in water that wasn't brown," she says, remembering the urban rivers of the East and Midwest strewn with industrial and agricultural runoff. As executive director of the Kootenai Environmental Alliance, Cronebaugh is keenly aware that just because the water is clear, it's not necessarily clean. Far from it. Her priority since taking the reins of KEA's leadership has been water quality and conservation, in a region filled with rivers, lakes, streams and aquifers at risk of contamination. That risk is not as visible as, say, contaminated drinking water resulting from corrosive river water reacting with lead-lined pipes in Flint, Michigan, but just as important and as much of a cause for concern. "We are the catch basin for the largest Superfund site in the nation," Cronebaugh says, referring to the watershed feeding Lake Coeur d'Alene coming out of the Silver Valley, notoriously polluted from decades of mining. Even with that advocacy-focused mission, she steps back from the label "environmentalist," noting that it tends to evoke strong emotions and connotations. She prefers that the work she and KEA do reflect what people — all people — in this region want: connection to a place of natural beauty. "I prefer to fight [people who oppose our work] with their own words, which is economics," she says. "Water quality is about economics. Property values go down if your water is polluted. I fight them with the same arguments they fight me with." In so doing, Cronebaugh hopes that people don't take for granted this region and all its public access to land and water, which means convincing them to care about and protect their natural resources. The idealistic hope: One day, organizations like KEA won't be necessary. "Every day I work to put myself out of a job," she says.